It is important to construct an irrigation system that Efficiently Applies Water to your landscape but it is even more important to ensure that the irrigation schedule is adjusted correctly. Uniform coverage, and a design that takes into account the varying micro-climates and plant material creates the "potential" for proper watering but the irrigation schedule must be programmed and adjusted to only apply water when needed. 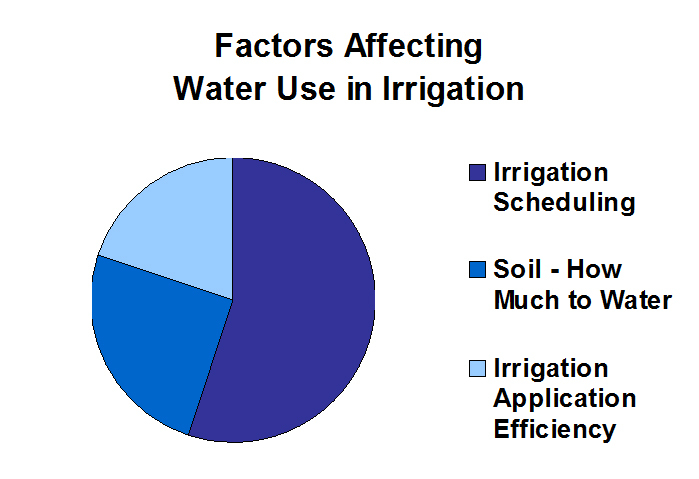 A highly efficient irrigation system that is poorly scheduled will simply "more efficiently waste water." Following best horticultural practices, your irrigation system should be programmed for deeper, less frequent watering and to prevent run off and waste. In other words, Irrigation should only occur when the moisture in the soil requires replenishment, not because it is Monday, Wednesday, or Friday. Watering too often and for too long is harmful to the plants, leaches out nutrients, pollutes the environment, and with increasing water rates - a waste of money.